A message from our Jen Weaver, Scholarship Chair. Believe it or not, reading scholarship applications is my favorite thing to do for the foundation. Students give us raw glimpses into their past experiences, challenges, and triumphs. They are refreshingly, sometimes heartbreakingly, honest. Applicants also make us privy to their most personal dreams and goals for their future. I'm sure the other board members would agree that helping these young people take the first step towards accomplishing their goals and making their dreams come true is the best possible reward for the hard work and countless hours that we all contribute to make The Quincy Conner Foundation a success. I look forward to reading about the journeys that have brought this year's applicants to us. I do not look forward to having to choose between all the amazing stories. Check back in May to learn more about our 2016 scholarship winners. It's that time of year when we gather with family and friends to give Thanks for everything in our lives. It is about spending time with friends and family, but if you are lucky enough to be associated with TQCF than those two words are synonymous. Quincy always treated friends as family, so we ask you to do the same during this holiday season while giving Thanks. We hope you enjoyed your turkey, all the fixings, but especially cherished the time with your family. Time is an undeniable gift for which we should all be thankful. The Quincy Conner Foundation hopes you and your family had a very Happy Thanksgiving and enjoy the rest of the holiday season. Hello friends of The Quincy Conner Foundation!! You know you will be thirsty on Saturday, so why not quench that thirst with a smoothie??? Tropical Smoothie of Woodbridge has generously offered to host a fundraiser for TQCF, so stop by on Saturday and grab yourself a smoothie. A portion of all proceeds will go to the foundation. September 26, 2015 marked the 4th Annual 5K for Quincy held this year in Lake Ridge, Virginia. Volunteers showed up at 6am sharp to get the raffles, registration and course set up for our runners. The 5K race started after a warm-up by 5K Committee Member and Ante-Up Fitness owner Lawrence McKay. After everyone was warmed up it was time to head to the starting line. The gun went off at 8:30 am. 75 men, women and children of all ages took off on the 3.2 mile course through the streets of Lake Ridge, the same streets we rode our bikes on as kids so many years ago. While some of the younger kids decorated cupcakes, got their faces painted and warmed up for the Kids Fun Run, the top male and female finisher quickly, very quickly, made their way around the bend and crossed the finish line. For the men, Kevin Perlow, of Arlington, VA, finished in 19:50. This is Kevin's second year in a row winning in the 5K for Quincy. On the ladies side, Ava Larkin, age 11, of Woodbridge, VA crossed the finish line in 22:49. She is the youngest overall winner of the 5K for Quincy in 4 years. Alexis Byam (F) and Connor Petrick(M) 1st Place in Age Group 20-29; Amanda Todd (F) and Stephen Finney (M), 1st Placein Age Group 30-39; Laurie Jones (F) and Brandan Willis (M) 1st Place in Age Group 40-49; Debbie Britton (F) 1st Place in Age Group 50-59; Sue Feindt (F) and William Tabor (M) 1st Place in Age Group 60-69; Cecilia Blackshear (F) and Sam Dutrow (M) 1st Place in Age Group 70 and over. The First Runner to Cross with a Stroller Award went to Christine James, the Award for Wearing Last Year's 5K for Quincy shirt went to Chris Finney, the Runner that Traveled the Furthest was awarded to Joe Wall and the Oldest Runner Award went to Mary Toman. The Foundation would like to thank the 5K Committee members, runners, volunteers, sponsors and all of our supporters for participating in the 4th Annual 5K for Quincy. We will see you in 2016!! Hard to believe the Annual 5K for Quincy & Fun Run is less than 2 days away! We are beyond excited to see everyone this weekend and thought we'd leave you with some info on exactly what to expect on race day. If you haven't registered by now, get on it! Online registration cuts off tonight (9/24) at 8 p.m. and after that, you can either register in-person at the Smoketown Road VA Runner store tomorrow (Sept 25) or in-person on the morning of the race. Friday, Sept 25, 4-7 p.m.
Saturday, Sept 26, 7:15-8:15 a.m.
Now that we have all of the particulars out of the way, let's move onto the fun stuff! I happened to get my hands on some sneak peek photos of the raffle baskets that will be awarded on race day. I think you'll agree with me in saying that the lucky winners are in for a real treat! The Board and Committee have worked hard on creating swag bags for all of the runners. These will include the annual race t-shirts (in a new color this year! ), coupons, giveaways and handy race-day essentials from generous sponsors such as Chick-Fil-A, NOVEC, Leisure Fitness and Smoothie King Woodbridge. Our DJ, Jeremy Whitham of Whitham Productions, will set up about 30 minutes prior to the race, just in time for warm ups (compliments of AnteUp Fitness) and will continue to entertain as the runners make their way across the finish line. There will also be plenty of refreshments, including coffee, fruit and pastries for before and after. In addition to the Fun Run, we'll also have Face Painting and Cupcake Decorating stations. And don't worry, if adults want to jump in on the fun, we won't judge! Great news! This year, Ornery Beer Company in Woodbridge has graciously offered to host our group for a post-race gathering. So even if you can't make it to run, consider joining for the after party. 20% of each check will be donated to The Quincy Conner Foundation! The entire back of the bar will be reserved just for us. As you can hopefully see, there's been a ton of time, effort and love put into this event and would mean the world to see you all there to run, cheer people on, or raise a glass in honor of Quincy! Quincy Conner earned many accolades during his short time here on earth but, by far, his greatest legacy is his daughter Trinity. With less than a week to go until the Annual 5K for Quincy, it's a great time to share how the Quincy Conner Foundation has not only helped provide scholarships to students in need but, more importantly, helped Trinity remember her Dad. This past summer, with her mom by her side, Trinity addressed the crowd at the Annual Know Your Hole Golf Tournament. Delivering her speech through tears, she bravely explained what it was like losing her Dad at 4 years old and growing up without him around. She explains how the annual events allow her to feel supported and able to keep the memory of her Dad close. As you can see from this touching video, everyone's presence and participation mean an awful lot. This year's race in Quincy's honor is mere days away but there is still time to register and support this special cause. Click here for details. Hope to see you all there. How did you hear about the 5K? I heard of this event through one of my closest friends [Tracey Watson] who happens to help run the foundation, and I was intrigued enough to want to know more. Over our many many years of friendship, I have heard Tracey speak very fondly of Quincy. When she mentioned his passing and how much he meant to her, his family, his friends and the community, I felt it was my obligation to support and share my time, energy and resources with those who loved him most as a way to continue his legacy through supporting of the values and community stewardship Quincy was so passionate about. I never met him; however, to see those that have touched my life in such a positive way band together to do something selfless to enhance the lives of other, I just had to …. It feels good. I am an avid running and often compete in high endurance events of all kind, so my training for this event has been helpful in training for others. This is a great distance for a fun run, which make it even easier to say YES. A huge thanks to James for signing up and taking the time to answer some questions! The race quickly approaching (Sept 26th hint hint) but luckily there's still time to register so be like James and make it happen! Hope to see everyone there! Even with all of the time, energy and love that's poured into the Annual 5K for Quincy each year by the Board, Committee and countless volunteers, we rely heavily on sponsors to be able to pull off a fantastic event. Today, we're honored to introduce you to a few of our 2015 sponsors! NOVEC HELPS is a company supported effort to gather organizational resources and engage employees in projects that target community needs. It was established to benefit the community that the Northern Virginia Electric Cooperative (NOVEC) serves. HELPS stands for Hands Engaged in Local Public Service and is a volunteer effort lead by NOVEC employees and their friends and families. NOVEC HELPS supports and sponsors a wide range of non-profit charitable, civic, educational, and youth activities in Northern Virginia. From feeding and sheltering the homeless and supporting emergency services, to raising funds to fight disease and fostering those in need, NOVEC HELPS has been there. NOVEC HELPS is excited to provide support to the Quincy Conner Foundation, serving as a sponsor for this wonderful event. The Dale City Moose Lodge 2165 is a part of the Loyal Order of Moose fraternal and service organization founded in 1888. The Moose Fraternity was originally founded as a social club, but rapidly expanded to include valuable services to communities and care for it's members. The Moose organization contributes between $75 and $100 million worth of community service annually. In addition to local charity support, they also run Mooseheart Child City and School on a 1,000 acre campus near Chicago and Moosehaven, a 70-acre retirement community for senior Moose members near Jacksonville, FL. The Dale City Lodge has hundreds of members that live in and around Dale City. Supporting local charities like the Quincy Conner Foundation is what the Moose is all about! And last but not least, we have a surprise for you. We were lucky enough to have a Q&A session with our next sponsor, the husband & wife team who recently opened Smoothie King in Woodbridge! Even more special, one is Katie Benjamin who is not only a Woodbridge High School graduate, but also a former WSHS teacher. Let's hear from Katie in her own words. We opened Smoothie King March 24th of this year. I was born and raised in Woodbridge, I wanted our first location to be where my "roots" are. 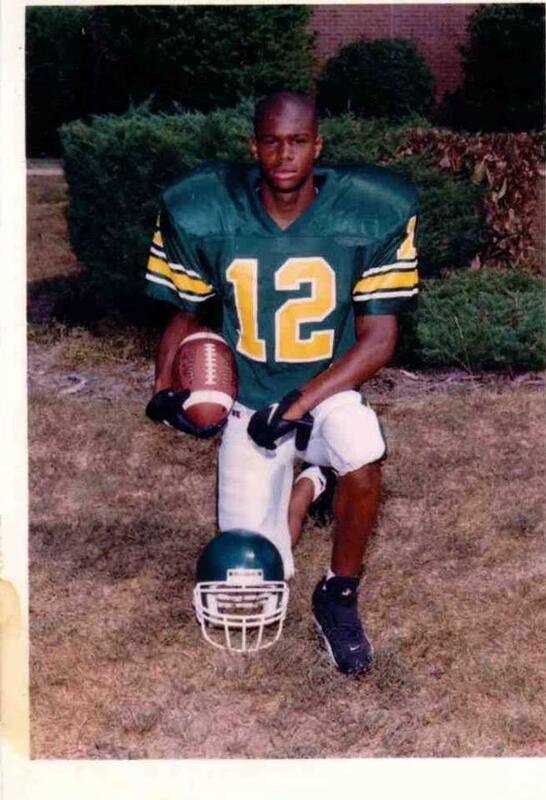 After graduating from Woodbridge High School, I went back and taught at WSHS for 9 years. The Woodbridge community means the world to me and will always have a special place in my heart. How is business so far? Woodbridge was "hungry" for a healthy alternative and Smoothie King has fulfilled their hunger! We could not be happier with business and have done better than we imagined! What is your view on community service/contribution? I believe if everyone could be a little more altruistic we would all be much happier. My husband and I believe in giving back to the community. We have contributed to The House of Mercy in Manassas for almost 9 years and have sponsored a classroom there. We believe in the power of education and have donated to educational foundations, and we have supported various local sports teams. What made you select the 5K for Quincy to sponsor? This foundation embodies all that we believe in; scholarship, dedication, equality and honoring a man who truly deserved it and was taken too soon. We are still welcoming sponsors for the 5K! If you're interested in sponsoring like these great organizations mentioned here and want to have your logo appear on the race t-shirts, please register by no later than September 4th. Visit the sponsorship page for all of the details! July 17, 2015 marked the 7th Annual 'Know Your Hole' Golf Tournament held this year in Columbus, Ohio. The tournament was set to begin with a shotgun start in the sweltering heat at high noon. An unexpected one hour delay was serendipitous in that it presented the opportunity for Quincy's daughter, Trinity Conner, to share an essay she had written this past year for school that expressed what The Quincy Conner Foundation and their annual events mean to her. There wasn't a dry eye on the course. And let's remember, this is a mostly male event, so that's saying something. It was a poignant reminder that we don't all make this journey every year just for the golf. As it happens, after such an inspirational start, great golf was played by all - some a little greater than others. Jason Hostetler and his team secured first place. Other teams came in second and third. Someone came closest to the pin and drove the farthest and putted the best. Thankfully there were no injuries, heat related incidents, or golf cart mishaps! · Year after year, individuals travel from all over the U.S. to support this event and those that can't make it to the tourney (or are terrible golfers) send donations. · Incredible sponsors express their support each year by donating time, materials, and money to make this tournament possible. · We, as a foundation, are able to continue to hand out scholarships in memory of Quincy Conner because of the money raised – which totaled close to $12,000 this year! This tournament may not be the greatest group of golfers ever assembled, but what they lack in skill they make up for with heart. Thank you to everyone that made 2015 another successful year for the 'Know Your Hole' Golf Tournament! I’m sure you come across various charitable foundations on social media, blogs and in the news fairly often. Behind each one is usually the memory of a very special individual. Working behind the scenes is an equally special group of people committed to keeping their memory alive. This is the case with The Quincy Conner Foundation. Quincy was a loving husband, father, and friend who was blessed with talents never fully realized because he was taken from this world far too soon. But just as Quincy wasn't an ordinary guy, TQCF isn't just your ordinary foundation. There's definitely something extraordinarily unique about how Quincy touched the lives of individuals working tirelessly to keep his legacy alive. And so today, it’s an honor to highlight the “why” behind the foundation for those who may have not known Quincy or are not familiar with the foundation's mission. He is a role model for fatherhood, friendship, marriage, brotherhood, and leadership. Officially, The Quincy Conner Foundation's calling is to "honor, through a sustained philanthropic effort, a wonderful soul who made everyone's lives better". It is in this spirit TQCF was born and through sustained philanthropic efforts awards scholarship funding for young people who exemplify these qualities. The Foundation recently heard from one of the 2015 scholarship recipients, confirming the positive impact the scholarships are having on students' lives. In addition to awarding scholarships, The Quincy Conner Foundation is dedicated to keeping Quincy's unique spirit alive. Quincy taught us to love and embrace everyone as a brother and an equal. At both annual events, the Know Your Hole Golf Tourney and 5K for Quincy, there's an immediate sense of community. All ages. All colors. All backgrounds. Everybody feels like One, just as Quincy would've wanted. Lawrence, explain to our readers a little bit about your background in fitness and how you came to be a personal trainer? I started my Personal Training career as a fitness coach. I’ve been a gym rat for years (since 2002/2003) but fell off the wagon as most people do. I collected a few bad habits and ultimately decided that enough was enough and made a push to get back into shape. The one issue I had was that I also needed to get a part-time job and didn’t feel I had the time to do both. I had helped people before in the gym so I joined those skills with an opportunity to supplement my income as a fitness coach. Shortly after, I decided that personal training was much more of a passion than being an IT geek for the government and AnteUp Fitness was born. I am now a NASM Certified Personal Trainer and Performance Enhancement Specialist. I am also currently pursuing my Level 1 Precision Nutrition certification. The services I provide range from private training sessions to smaller group sessions to the larger outdoor bootcamps that have become extremely popular over the last few years. I also provide nutrition coaching and am do some public speaking/educating from time to time. How did you become involved in The Quincy Conner Foundation? I’m always looking for a good way to give back to the community. I was fortunate enough to share some mutual friends (and friends of friends) with Quincy from High School. I mentioned on Facebook that I was looking for a good 5K to possibly sponsor and I was immediately connected with Tracey Watson, who’s a member of the 5K race committee. Once I had the chance to speak with Tracey and take a look at the website, I KNEW this was a perfect fit. I related to Quincy as we were the same age, went to the same school, we knew some of the same people and unfortunately both had issues with our hearts. Hearing his story hit SO close to home that I couldn’t just let this opportunity to help get past me. The more I learn about Quincy and see how many lives he’s touched, the more compelled I am to do more to help his legacy live on. Why is it important to train prior to a 5K? As with anything you want to do successfully, training and conditioning your body for a 5K is essential. Running, however great for the cardiac system, can also be very damaging on the body, if it’s not done correctly. Learning and practicing proper running mechanics will make a huge difference in your 5K experience. It will help to reduce the risk of injury and ensure your best chance at a long, enjoyable running “career”. What type of training regimen do you recommend for individuals who want to sign up for a 5K but have either never run before or aren’t necessarily in the best shape? All runners should engage in some type of cross-training regimen. You don’t have to set any world lifting records or be some Crossfit phenom but you do want to build some muscle and teach your body to endure the beatings runners put their bodies thru. Depending on when your run date is and your current fitness level, I recommend 1-3 days of lifting weights mixed with Plyometric and body weight exercises, specifically focusing on legs and core strength. Having a HIIT circuit for one of those workouts would be a great idea as well. You can combine all of your training objectives (cardio conditioning, muscle strengthening and conditioning and Plyometric explosiveness) in one short, intense workout. Just remember to start at a pace that’s adequate for YOUR current level of fitness and progress only when it is safe and effective to do so. The morning of the run, what are some tips for preparing yourself both mentally and physically? You should treat the morning of your run a lot like your birthday. Get a good night’s sleep the night before so you can wake up energized. Eat a light meal, maybe even your favorite protein shake. Don’t eat or drink anything new to avoid having an upset stomach. Stay hydrated but don’t overdo it. Put the cap on the drinking about 30 minutes prior to your start time. Get to the race site early and allow any pre-race butterflies to settle. Maybe even go find a quiet spot to sit down and relax. Also, I suggest having a good playlist to take your mind off of any distractions. Nothing puts you in a better mood than good music. Use it to your advantage. To make sure you are truly comfortable, wear clothing that is loose fitting and won’t cause any chafing. Your shoes should be ones that are comfortably broken in but not overly worn. If you still have a few good weeks before your race day go get your gait analyzed so you can ensure your shoes are the proper fit for your foot type. Do you have any suggestions for setting a good pace so you don’t get tired mid-race? Most people feel that because it’s a race that you’re supposed to shoot out the gate as fast as you can. The opposite is actually true. Think about the Tortoise and Hare. Slow and steady wins the race….or at least gets you across the finish line. Run at a pace where you can still carry on a light conversation with whoever’s running next to you. If you can’t speak without gasping for air, you’re running to hard. Slow down a bit and enjoy the fresh air. I say enjoy yourself. Most 5K’s are family events and they’ll most surely be some festivities to partake in before, during and after the race. Allow yourself to enjoy them. Bring the family out and let the kids have a great time as well. You never know who you’ll inspire with the experience. A huge "thank you" to Lawrence for taking the time out of his busy personal training schedule to answer our questions! We hope this gets everyone motivated and to lace up those running shoes and get training! See you in September! Big news, friends! The Quincy Conner Foundation now has its very own blog! And perfect timing, too. With just under eight weeks until the 4th Annual 5K for Quincy & Fun Run, we’ll have plenty of updates and interesting content coming your way! We’ll be recapping past events, spotlighting sponsors and donors, catching up with past scholarship recipients, and pulling at your heartstrings as we recount the “Why” behind starting the Foundation several years ago. As an added bonus, we’ll have tips on preparing for a 5K even if you’ve never run before! With all this 5K talk, I’m excited to announce that registration is officially open for this year’s Annual 5K for Quincy & Fun Run!!!! The event is an incredible day of fun, friends, and community as we celebrate the life of Quincy and help create a legacy in his honor. Join the Foundation on Saturday, September 26th for the 4th Annual 5K for Quincy and Fun Run at Lake Ridge Middle School, 12350 Mohican Rd Woodbridge, Virginia. The 5K and Fun Run will start at 8:30 am and will be followed by post-race snacks. We will have awards for the top male and female finishers overall, awards for age category winners, a live DJ at the starting line, t-shirts to all registered runners, and food and fun for all. • $40 on Race Day. The Quincy Conner Foundation’s calling is to honor, through a sustained philanthropic effort, a wonderful soul who made everyone's lives better. Quincy embodiedunconditional love, tolerance, and diversity. Quincy taught us to love and embrace everyone as a brother and an equal. All proceeds from the race will go to The Quincy Conner Foundation, to celebrate the life of our dear friend who touched so many and left this world too early. The Foundation raises money to provide students who are less fortunate with an opportunity to attend college and achieve their own goals by awarding scholarships. Three 2015 scholarships were awarded back in June! It’s time to register! What are you waiting for? !